A while back I was contacted by Lisa M. DeChano-Cook, Associate Professor in the Department of Geography at Western Michigan University about my antique photographs. She said that she and her colleague, Mary L. Brooks, were writing a book about the Kalamazoo River and were interested in photos of that subject. The book is now published, and Lisa sent me an autographed copy. It’s a gorgeous collection of photos and information about the history of the river. If you are interested, just click through the following image of the book to order from Amazon. They used several of my photographs. And they also found photographs in the archives at Western that were taken by grandpa’s uncle, Joseph DeKorn. In the 70s or 80s, my grandfather donated a lot of photographs and glass negatives to the archives. Notice that the one at the archives is the same photograph that I use for the header of my blog–the flood at the Water Works Bridge in 1904. Many farmers tried to fence in their property because they knew that the river flow would change and they could not use it as a stable boundary. In the photograph, a wire fence spans a shallow part of the Kalamazoo River. The reflection of the fence in the water makes it appear as though it is a wire pedestrian bridge. So thrilled when blog readers relate to what they find on this blog. I always end up learning a lot! 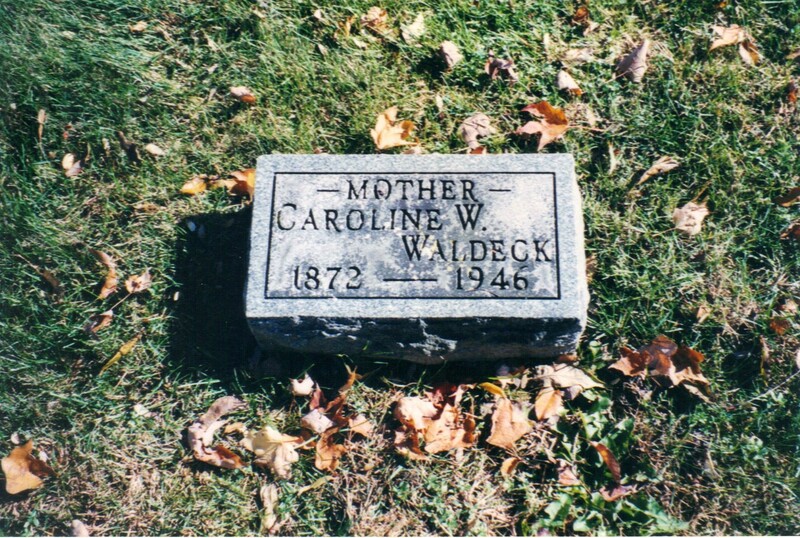 Two years ago I posted about Grandma’s uncle Fred Waldeck and his wife Caroline Meir (Meier). Fred was terribly injured in a streetcar accident. Because of severe brain damage, he had to live out the rest of his life at the State Hospital in Kalamazoo. He lived there for over 53 years. Before the accident, the young couple had had one child, Edward. He also was involved in an accident when he was fourteen years old–when a man hit his bicycle in a hit-and-run! Here are two posts about Fred, Caroline, and Edward. I had never seen a photograph of Caroline or Ed, although I do have the one photograph of Fred with his family of origin. Fred is the man standing on the left, behind his father. The mother is Alwine, the younger sister of August Noffke. The little girl seated is my great-grandmother, Clara. Recently, I made contact with a man named Roy through Ancestry.com who is related to Caroline Meir Waldeck. He rescued some negatives of the Meir family that his father was going to throw away and had them made into photographs. Both Roy and I would like to know if Edward Waldeck is in the group shots. 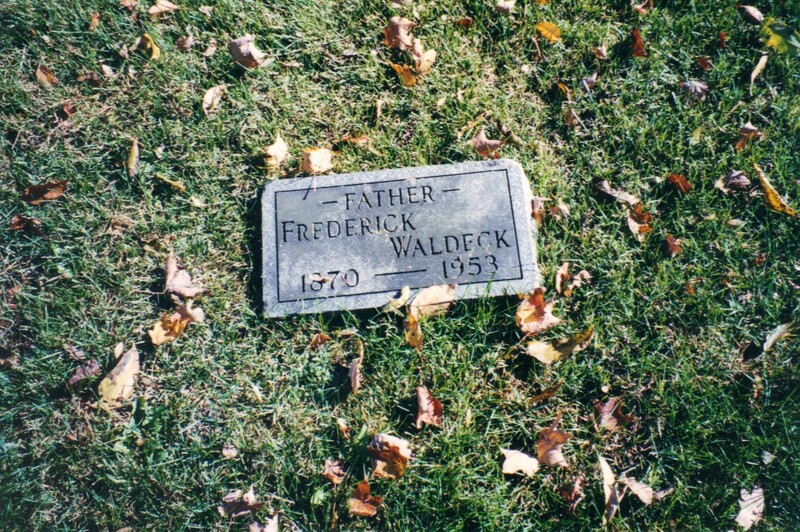 Edward August Gottfried Waldeck (1897-1971) was my first cousin, 2x removed. Here is one of the young men so you can focus on them. Roy has names for the ones on each end, and thinks he knows who the second from left is. Could the third from left be Edward? Here he is with a young woman, maybe his future wife or wife Cora van Strien? Does he show resemblance to Caroline and/or to Fred? If you know who these people are, please let us know. So wonderful that Roy saved the negatives and thus the images of the Meir family! We just got back from Lake Tahoe last night, and I have a lot of catching up to do—including blog reading! This beautiful funeral photograph from Kalamazoo seems to belong to someone in my family, but who is the mystery woman? I have not been able to figure it out. If anybody has any ideas, based on knowledge of the family or even based on photos I’ve already posted, please let me know! Any idea on what decade this is? Was this typical of a certain era to create a tableau like this from a funeral? The only other photo I have that is similar is the one for Louis Van Wyck‘s funeral in 1911. His funeral was hosted by the Salvation Army. John M. Reidsema ran his photography business in Kalamazoo from at least 1889 – 1905, possibly earlier and/or later. Back to Jeanette Bosman Harter (1888-1978). Readers urged me to ask the owner of the photos of Jeanette on Ancestry for permission to post here, and she did give me permission. The above is the photo of Jeanette when she lived, obviously, in Chicago. You can see she is the same person as in the image I found in the antique photo album. And here is the photo of Jeanette with her younger brother Cornelius when they were 12 and 9 in 1900. Perhaps a wedding portrait with George Harter. And in 1940 at age 52. Woohoo, what a wonderful treasury of photos of Jeanette, my 2nd cousin 3x removed. Interestingly, not only was Jeanette related to my family, but when she was born her parents lived at 1412 S. Burdick St. in Kalamazoo, right near my relatives. On another note, something has budged in that brick wall of hubby’s grandparents from Ukraine and vicinity. First, Montefiore Cemetery has sent me photos of the headstones. Thank you to Sharon at Branches of our Haimowitz Family Tree for letting me know I could order photos directly! That gave us the Hebrew names of the fathers of both his grandfather and grandmother! And I found a passenger list for his grandfather. A professional is going to help us break down the wall a little further at this point because she can communicate in the proper languages to try to obtain birth records. I’ll keep you posted. Ukraine and Moldova are not easy to work with and nearly impossible for amateurs. I have been scanning the photographs and tintypes from a beautiful family album. Even if I already have the image, I am scanning because my scanner is set in .tif and my old images were scanned in .jpg. I much prefer to keep a copy in .tif (for quality preservation) and then also in .jpg (for ease of use). An image I already had really bugged me as I scanned it. Where had I seen a face like hers before? 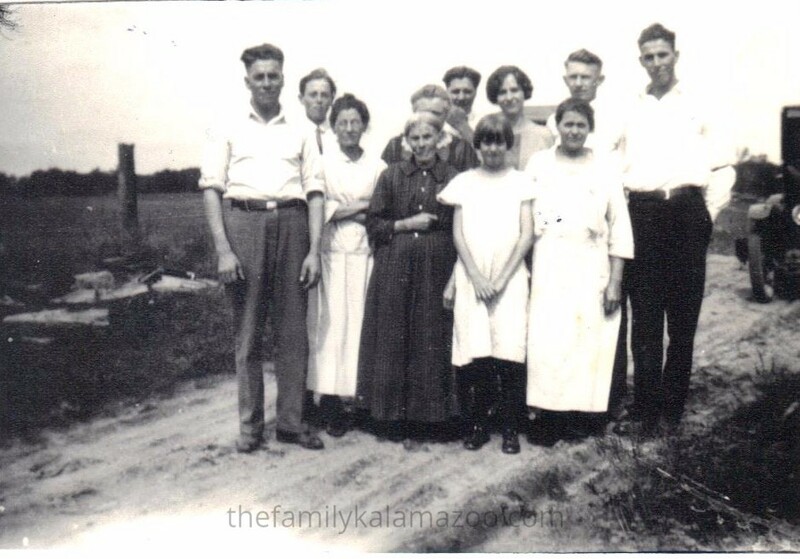 Remember the Ancestry tree with the photos of Jeanette Bosman Harter (from Part III)? The ones I wasn’t sure if I could post? I went to the tree those photos were on. Was it a hunch or a bit of memory or something more tangible? Maybe all three. The tangible part is that this photo says Goshen, Indiana, and the only photos I have from Goshen are Bosman photos. And when I got to the tree, sure enough: I found an image of the lady from when she was sixteen-years-old. 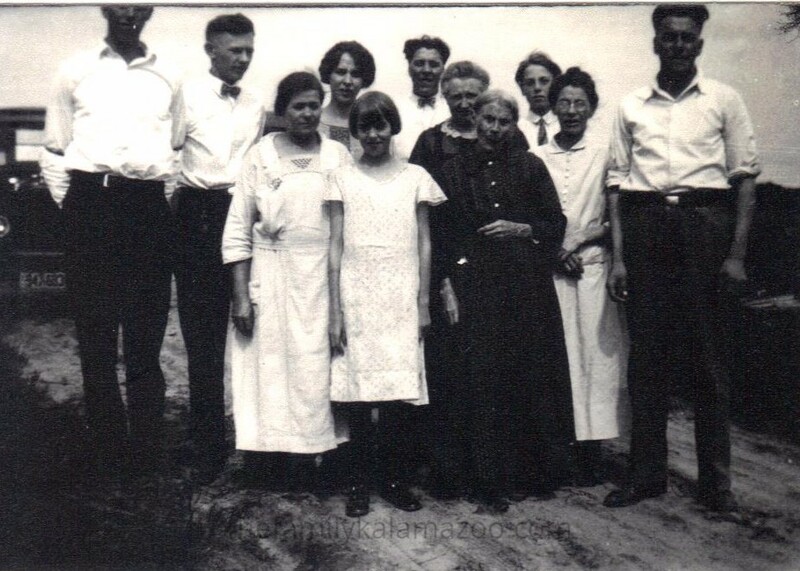 Johanna REMINE Bosman, the mother of Jeanette Bosman Harter (and John, Gerritt, and Cornelius, as well as others who died in childhood) and sister of Richard Remine and Jennie Remine. Richard is the father of Therese Remine who owned Ramona Park and Ramona Palace. He is also the father of Genevieve Tazelaar and Harold Remine (I’ve written posts about these people). According to the information I had there were three Remine children: Adriana born 1855 (Johanna can be a nickname for Adriana), Richard born 1857, and Jennie born 1860. It’s been confusing, and Jennie can also be a nickname for Adriana. Johanna’s paternal grandmother’s name was Adriana, so this fits the Dutch naming tradition. Adriana was born in Kapelle, but Richard and Jennie in Kalamazoo. But the owner of the other tree pointed out to me that Johanna had an entry on Findagrave, and that her birthdate was listed as 1857, not 1855. In fact, when I looked more carefully at the headstone I saw the whole birthdate. 10 May 1857. WHOA!!! That’s Richard Remine’s birthdate! Now it seems that it’s likely that Adriana actually died sometime between the family leaving the Netherlands and a somewhat later date. And, instead, Johanna might be Richard’s twin! That could be why they share a birthday. And Johanna was probably named for her maternal grandmother, Janna (or Johanna). Although I have not been able to find a death record for Adriana or a birth record for Johanna and Richard, there is one clue I have been holding without realizing it, a clue that indicates Adriana must have died. When my grandfather identified the photo of Johanna and Richard’s younger sister, Jennie Remine (who became Mrs. Carlo Meyer), he called her ADRIANA (JENNIE) REMINE!!! Since Jennie was born in 1860, the first Adriana must have died beween their immigration and 1860. I will be happy when I find an actual formal document of either Adriana #1’s death or Johanna’s birth,* but I feel fairly confident that she was Richard’s twin. So far there is no proof that twins run in these families, and fraternal twins are considered to be hereditary. However, my father was a fraternal twin, and I have not seen it in his family. 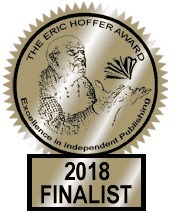 Many thanks to Adri Van Gessel and Nancy Rupp for the work behind this blog post. *Not sure how to find these records from the 1850s as the Kalamazoo records don’t seem to go back that far online. Maybe it has to be done in person! 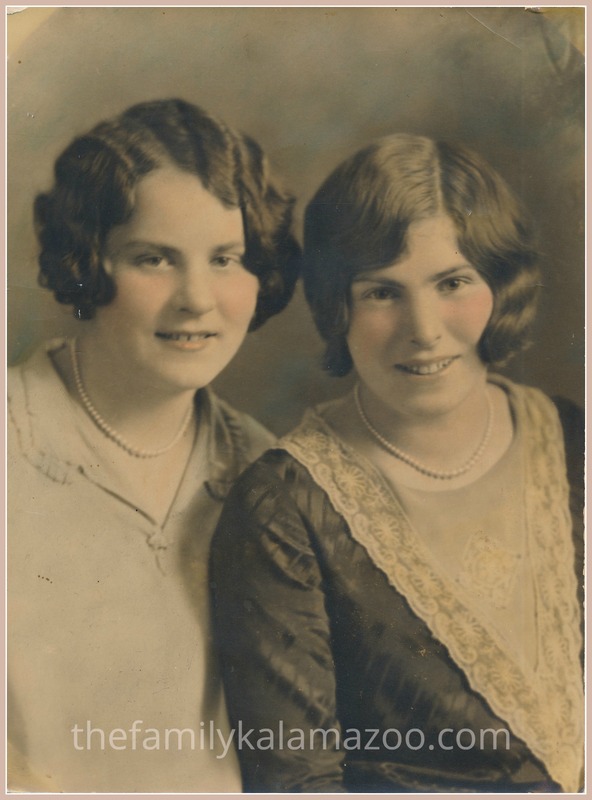 It’s been so long (years) since I posted Parts I and II about the Bosmans, but I found this photograph of Jeanette Bosman (my 2nd cousin, 3x removed) and thought I’d share it. I love the serious pintucks on the dress, and the watch or locket pinned to it. How do I know it’s Jeanette? Because it says so on the back!Don’t you LOVE when the info is on the back of the image?! It says: Jeanette Bosman / Grand Rapids / 1906. Jeanette was born 30 June 1888 in Kalamazoo. That would make her 18 in this portrait. Wow, she sure looks older to me. But then her skin does not, and maybe it is the type of looks that she has. On Ancestry, I found a photo of Jeanette as an older woman in Chicago. I hesitate to post it here because I am not sure if we are allowed to take images off Ancestry and share elsewhere. But she looks like the same person, with the same hairstyle decades later. When I first found the Bosman children (children of Dirk Bosman and my 1st cousin 4xremoved Johanna/Adriana Remine) I posted in two posts. Part II listed the children and Part I was focused on John, Jeanette’s older brother. Jennie was listed as second to youngest. Jeanette is Jennie. When she was three her mother passed away in Kalamazoo. Then I don’t have any information until she got married in 1908 to George M. Harter in Grand Rapids, Michigan. I don’t know if she had a stepmother, for instance, or if the family moved to Grand Rapids right after the mother’s death. Jeanette had three children, all born in Chicago, so the family must have lived in Chicago after Grand Rapids. Jeanette and George had three children, all born in Chicago, so the family must have lived in Chicago after Grand Rapids. George, Jeanette’s husband, passed away in 1940, when she was 51 years old. She didn’t die until 1978 in Rochester, New York. I can’t help but wonder what her life was like for the last 38 years of her life and how she ended up in New York State. Her son Wilmar died in Montana, and her middle child Georgia died in Cook County, Illinois, years after the death of their mother. So did Jeanette follow her daughter Eileen (Ellen) to Rochester? I don’t know because I can’t find what happened to Eileen after the 1930 census. She was 12 years old. So what about Jeanette’s siblings? We know John survived until 1943, but most of the other children died in childhood. And apparently Cornelius, the youngest (and only one younger than Jeanette), survived. At age 63, he married Evelyn MacLeod in Cleveland. 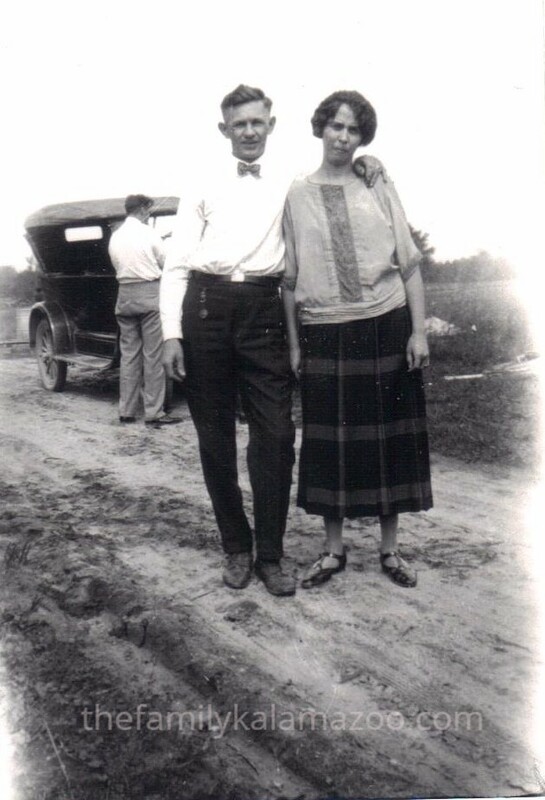 Oh, by the way, I found a cute pic on Ancestry of Jeanette and Cornelius when they were 12 and 9 (so the year 1900), but again am afraid to share it. Their older brother John would have been 24, so was probably already out of the house and therefore not in this photo. He married Nellie Robb in 1903 at age 27. Anybody know the rules for Ancestry.com photos? I suspect there will be a Part IV eventually. 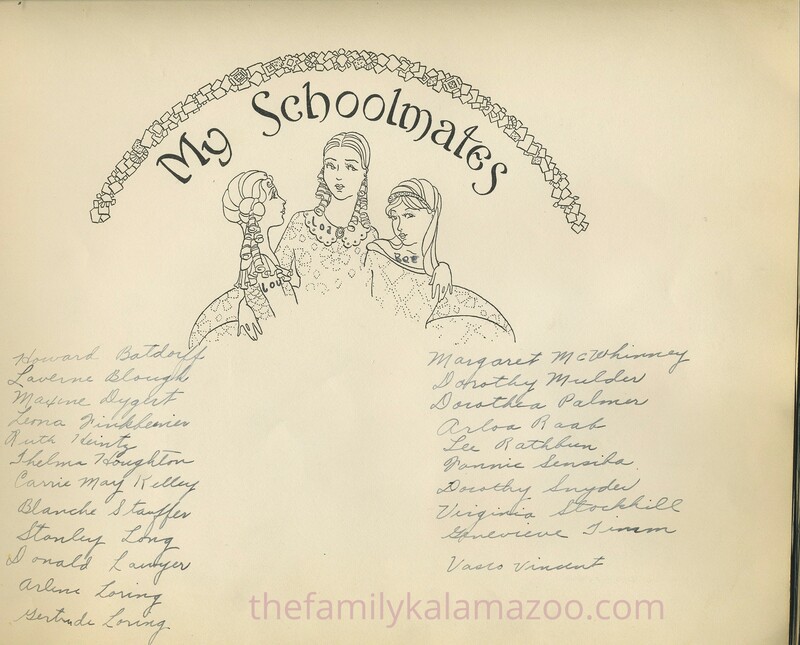 I’ve written several posts about my grandmother, Lucille Edna Mulder (married name Zuidweg), who was born April 17, 1912, and her high school graduation scrapbook. She graduated from Caledonia High School (Michigan) in 1929. In those posts, I mentioned that Grandma’s best friend Blanche was class valedictorian, Grandma’s older sister Dorothy was salutatorian, and Grandma–with the 3rd highest GPA–was class historian. Visiting Mom, I recently found this photograph of Grandma and Dorothy. It’s a tinted photo, and it appears to be the right age to have been taken around the time they graduated high school. It shows the girls with movie star hairstyles. You can see from the list below (from the scrapbook) who else graduated from CHS in 1929. Look at the proportion of girls to boys! Why was that? Were the boys working the farms and no longer attending school? If so, that’s a shame. What else could account for so few boys graduating? I trust the list because Grandma was, after all, class historian and quite meticulous about recording information. Maybe this list will help out someone else researching their own family. Good luck!